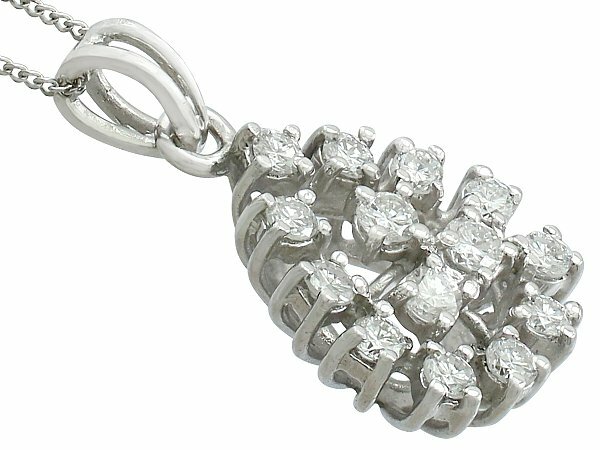 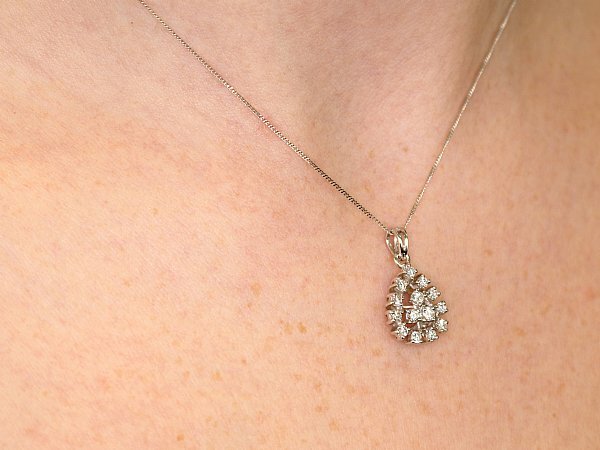 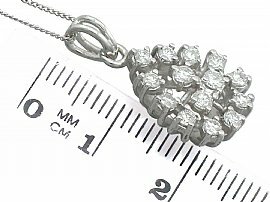 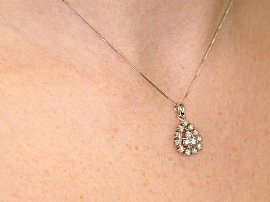 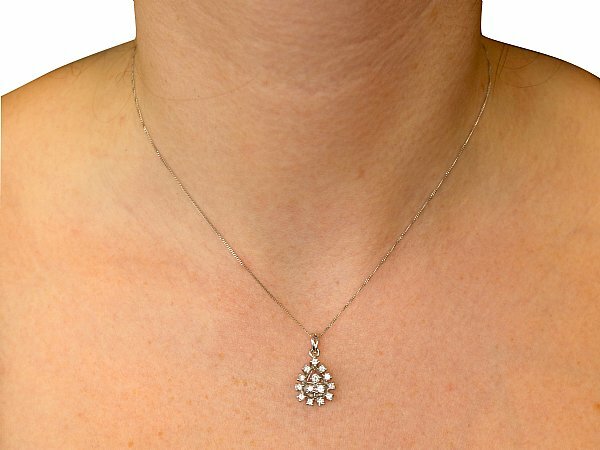 This fine and impressive diamond cluster pendant has been crafted in 18 ct white gold. The pierced decorated multi-claw setting has a pear shaped design, ornamented to the centre with three individually claw set modern brilliant round cut diamonds, arranged in a trefoil design. 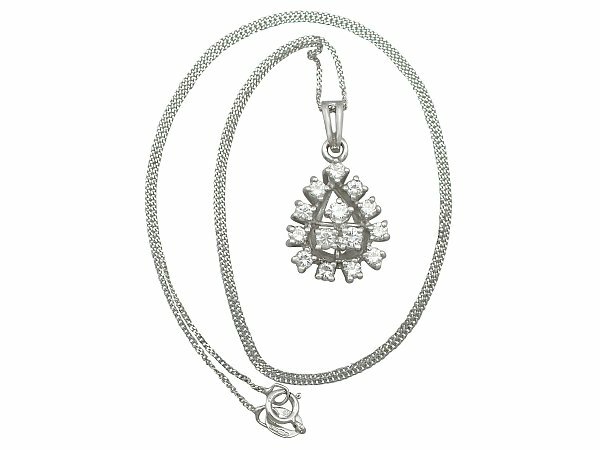 The central diamonds are framed by a further eleven individually four claw set modern brilliant round cut diamonds, set to the borders of the pear shaped frame. 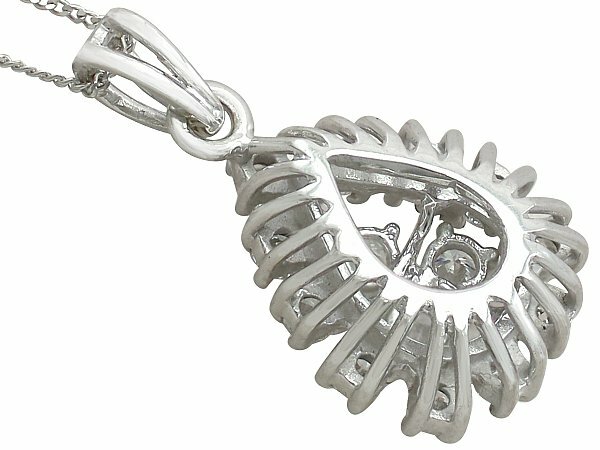 The pendant suspends from a contemporary 18 ct white gold 16" trace chain via a flared and pierced decorated ring loop to the upper border of the design. 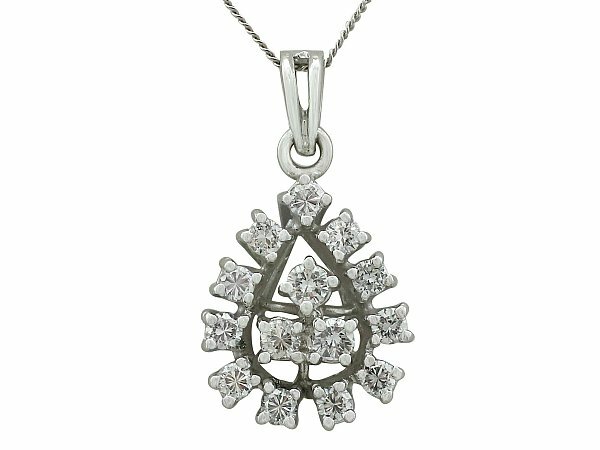 The pendant is hallmarked to the ring loop attachment with the 18 ct gold fineness mark (750). 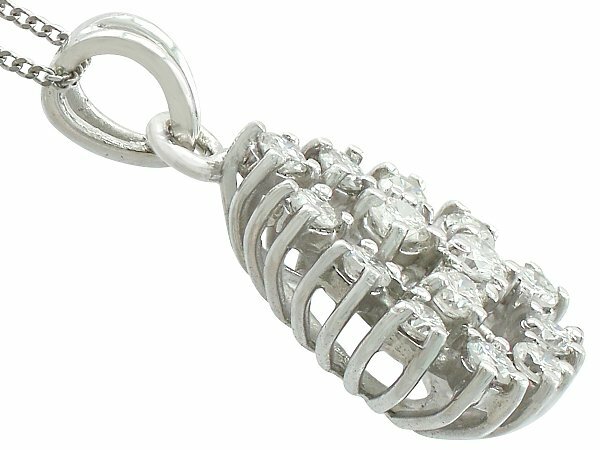 This impressive contemporary diamond pendant is supplied with an independent diamond grading report card. This impressive contemporary diamond cluster pendant in white gold is fine quality set with very high colour graded diamonds. The pendant is a very good gauge of gold and is in excellent condition with a hallmark to the reverse of the ring loop attachment.